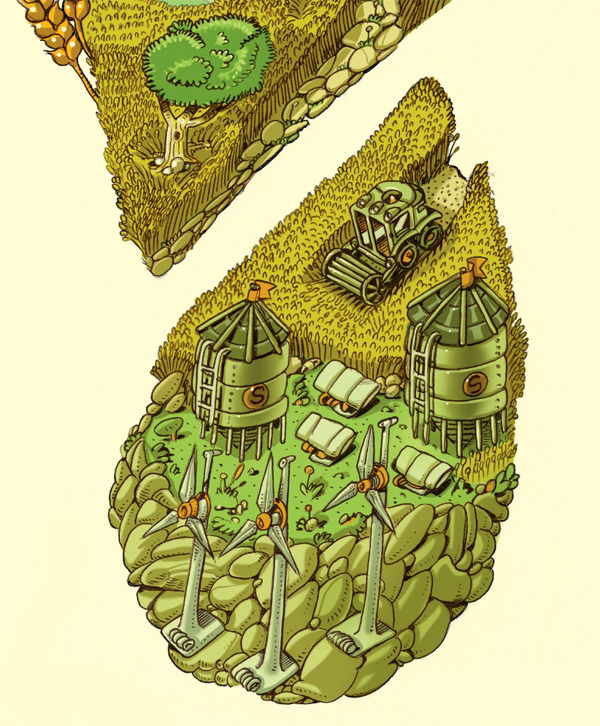 We realized this poster to promote the carbon footprint certification obtained by the mill Sgambaro. 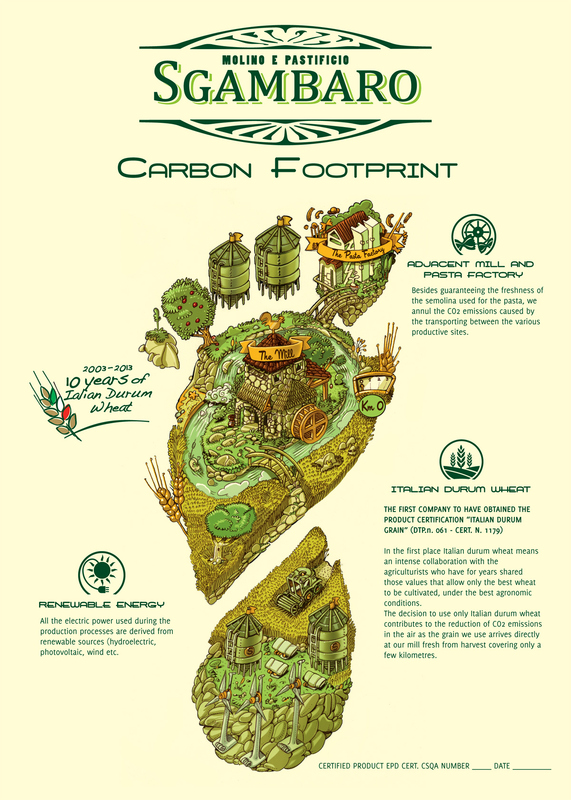 The footprint is the international icon used to rappresent the light CO2 impact on the environment. 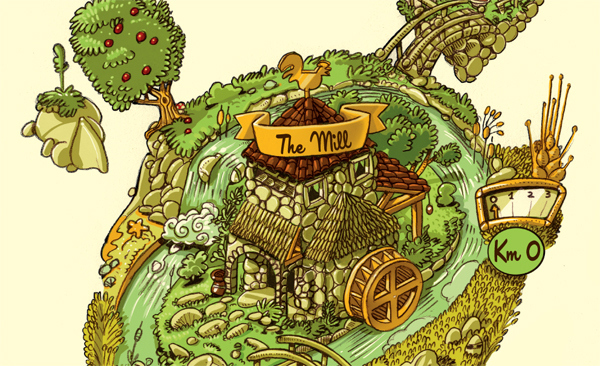 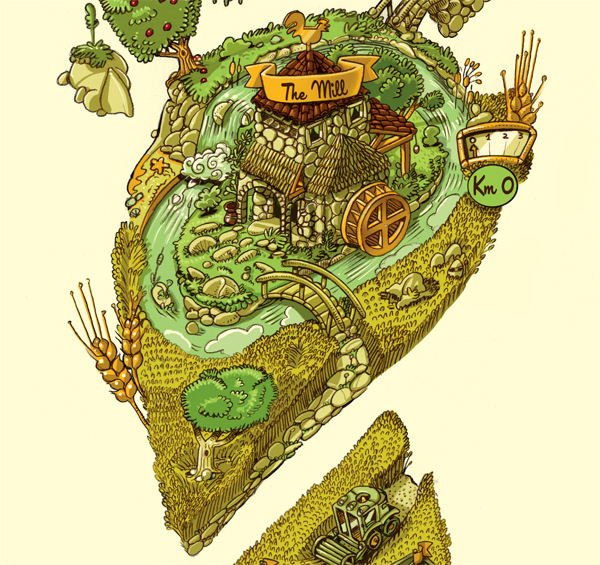 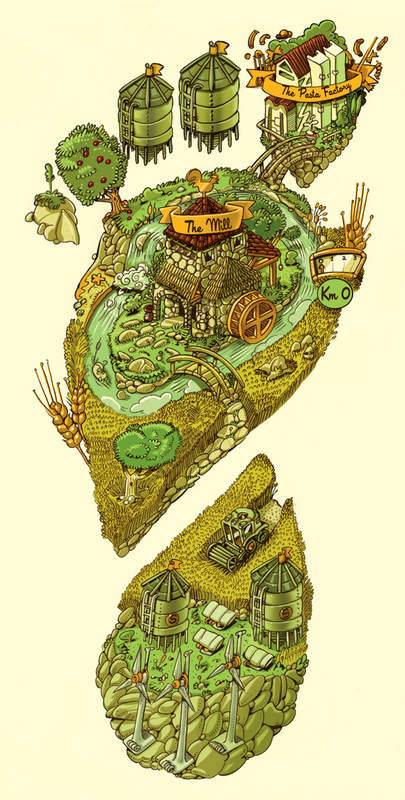 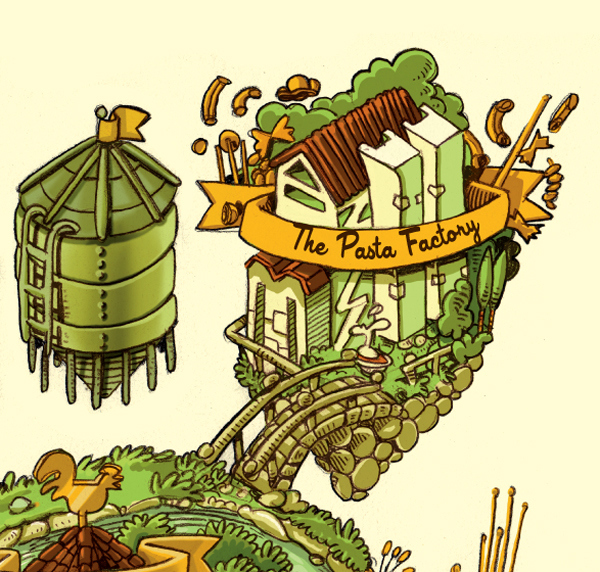 For this reason we illustrated the production of Sgambaro pasta in a small world shaped like a foot.